In fact, we’d go as far saying we know most wholeheartedly agree – and there are four main reasons why. London is a busy city. It’s one of the most popular cities in the world. Whether you visit in the height of summer or the first week in January, you’re going to find crowds and queues. However, there’s definitely a noticeable decrease in these crowds and queues come mid-September into October and November..
After summer passes and people finish up their holidays to the capital, the whole city becomes a little less crowded. It might not be overly noticeable if you’re coming to London for the first time, or if you only come outside of the summer holidays, but compare a week in late September to a week in the middle of August and you’ll definitely be surprised. Now one of the big lures of visiting in June, July or August is, for the most part, you can expect good weather. And as we mentioned above, a bit of heat from the sun can put everyone in a good place. It lifts moods greatly. Though when it’s hotter than you’d like, and it’s constantly hot, things can be a bit unbearable – you only have to ask a regular commuter on the tube when their least favourite time to travel to work is and it’s almost guaranteed they’ll say the summer! Sure, as we enter October you may not be able to walk around the city in shorts and t-shirt or relax in our courtyard with a book and a drink in a pair of sandals, but for many that’s a small price to pay for being able to head out for the day and not return with an urgent need to change! It is important to remember with the cooler weather that we aren’t talking about being in the middle of winter here. There’s no snow in sight and rain in general isn’t overly common, particularly at the start of autumn. Instead you’ll have mild days sandwiched between cool mornings and evenings; mild days that allow you to stroll through our parks comfortably and take in the wonderful atmosphere they provide. We’ve specifically mentioned the parks as there’s something special about sitting outside in autumn, watching the changing colours of the leaves as they fall from the trees, in the middle of London. The parks offer a great experience in summer, but when you remember there are slightly fewer crowds in autumn, there’s a whole new level of tranquility added – perfect after you’ve had a hectic day moving around the city’s shops, sights and attractions! There’s always a huge amount to do when you visit London regardless of the time of year. When we step into autumn, however, the events calendar becomes filled with so many fantastic things to do you’ll want to come for the full season! City Life Festival. Oktoberfest. London Literature Festival. Ice skating at Somerset House. Bonfire Night (remember: London is where the entire Bonfire Night tradition started). Christmas lights at Kew Gardens. It’s often forgotten that autumn officially runs from around 21st September to 21st December, meaning you cover two big occasions in Halloween and Bonfire Night, but also the vast majority of the run up to Christmas. In terms of key events, it’s the busiest time of the year, so it’s no real surprise that autumn is seen as the favourite time to visit London for many. It’s always a pleasure to welcome guests to DUKES no matter what time of the year it is. From winter to summer, autumn to spring, we always see guests coming back from their days out truly loving the fact they’ve explored the city and all it has to offer. That doesn’t change throughout the year. 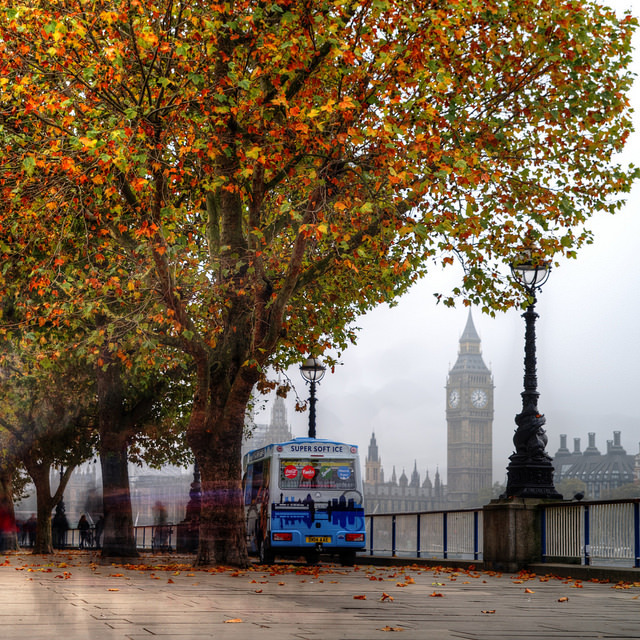 But as with many in London, autumn holds a special place in our heart. The whole city begins to change, turning from what’s almost a non-stop August wherever you are through to a much more laid back and relaxed time of the year. It’s not quite Christmas, but it’s arguably the most wonderful time of the year.